When I got my September issue of Better Homes and Gardens, I noticed an article comparing canned pumpkin (p. 156). 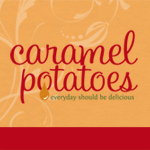 Then there was this little tidbit in the bottom corner with a link to see their most popular pumpkin recipe ever. I was curious, then I was surprised. Really? 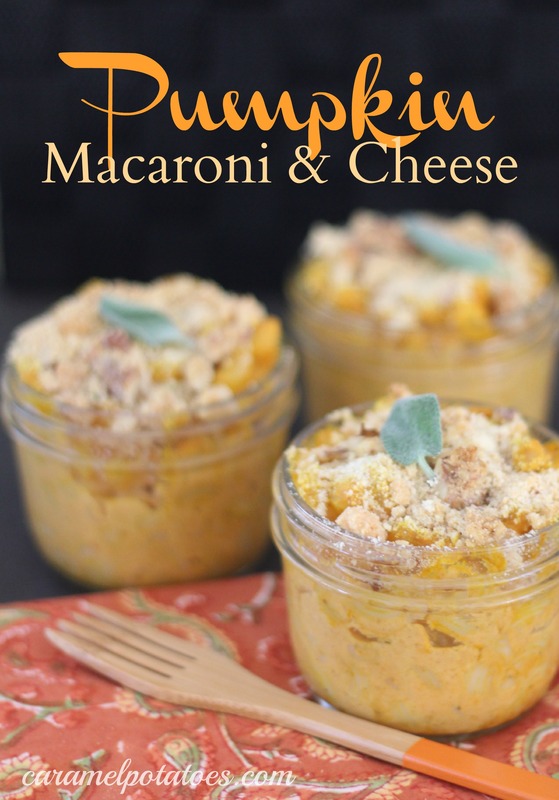 Pumpkin Mac and Cheese?? By now I was really intrigued, so of course I had to try it . . . then I was pleasantly surprised again. It’s really good. The pumpkin flavor is definitely unexpected, but it’s also very fun. 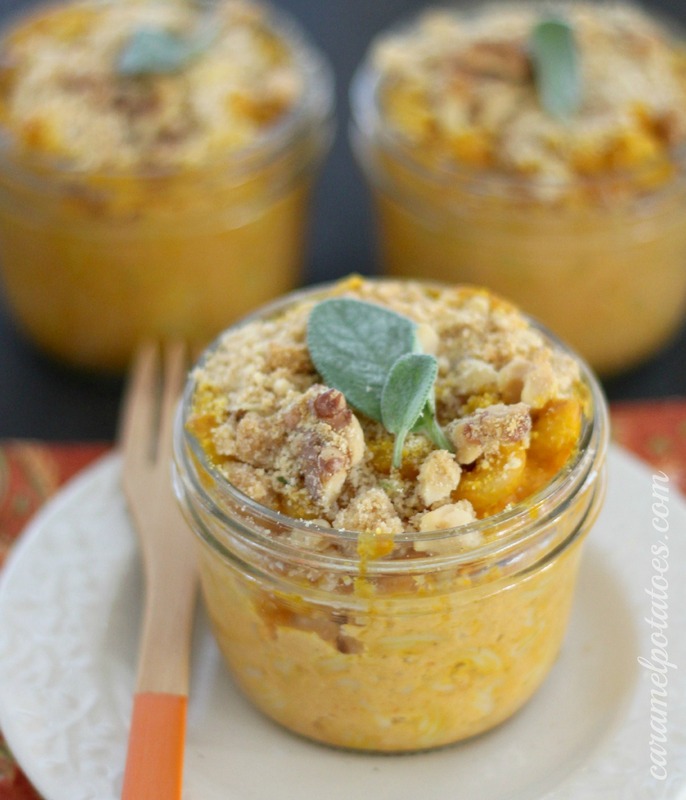 Pumpkin gives this Mac and Cheese a very rich flavor, especially when you add the Parmesan-walnut topping-YUM. A small portion as an appetizer or side dish is plenty. 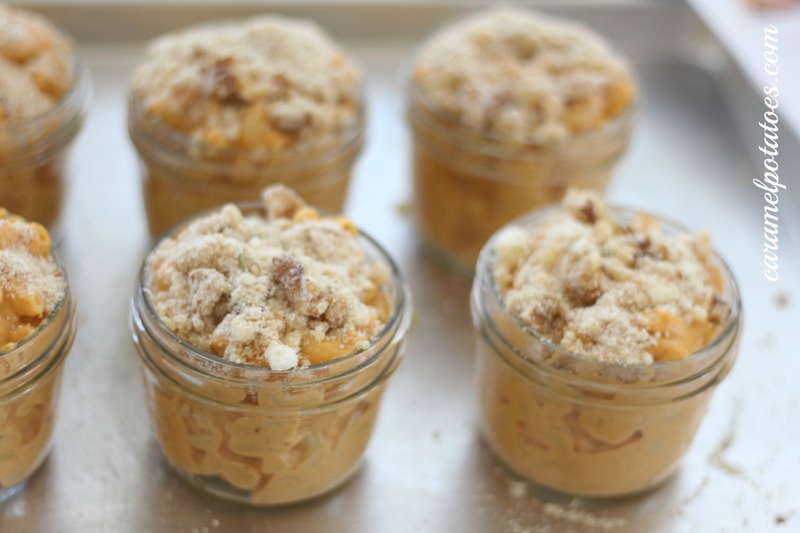 I decided to use these one-cup mason jars to make individual servings. You can also bake it in a casserole dish. Okay – your turn to create a little fun and something unexpected- why not surprise your own family or guests with this fun and festive version of traditional Mac and Cheese! In a small bowl combine bread crumbs, Parmesan, walnuts, and oil; sprinkle over pasta. Bake, uncovered, for 30 minutes or until bubbly and top is golden. (25 minutes for ramekins.) Let stand 10 minutes before serving. If desired, top with fresh sage leaves. I have never seen anything like this. My curiosity has the best of me too. Going to try it soon. Sounds crazy but I think I will give it a try too!